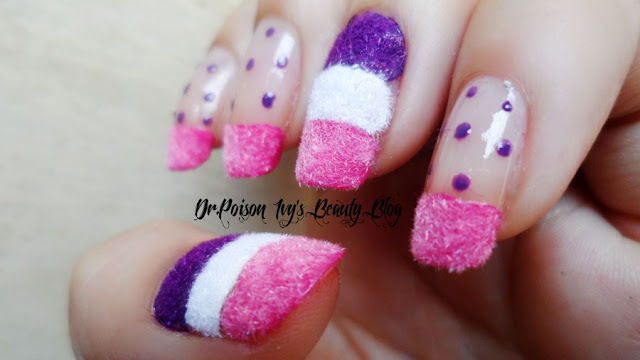 3D nails seems to be making the wave in nail art society. Right from 3D flowers to velvet dust and textured nails. I was sent this Velvet Dust set by MASH for review purpose. It costs only $5.99 . You get a great deal for that price because the set contains 12 colorful Velvet dust in tiny containers (the size of a coin). All the 12 boxes are packed in a transparent box so you can see right through it and differentiate between the colors. The tiny containers has lids that has to be screwed . So basically,it is travel friendly . 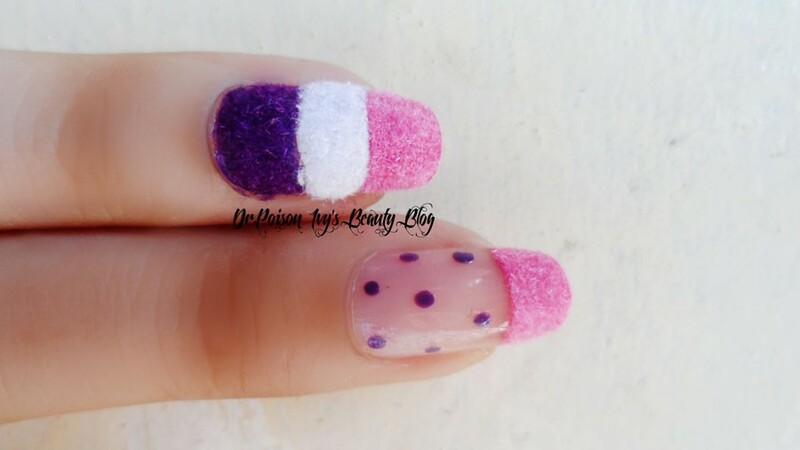 I use tweezer/forceps to pick up the dust and lightly graze it over the colored base before they dry. I found that ENVY and VIVIANA works puurrfectly for flocking because they have thicker formulas. So, they give more texture for the dust to settle in and dry. 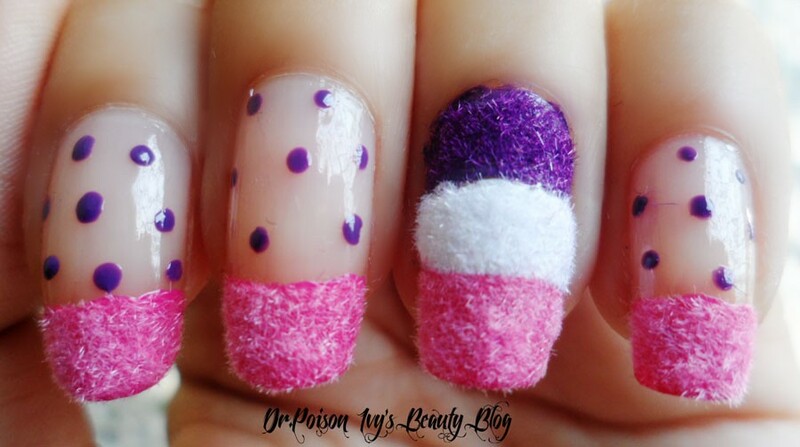 While OPI has really thin runny formula and dries quickly , so the dust have thinner base and they fall off easily. They last for a day without any thinning but i noticed that it gradually falls off and i'm left with thin velvet covering the base polish. My blog is going to celebrate 2nd year anniversary. And MASH has sent some awesome goodies for my readers. I am compiling all the prizes. SO keep your fingers cross for the giveaway. It will start as soon as i've finished collecting the prizes. OMG!!!! This is so cute! :) But to be honest, it's making me hungry. 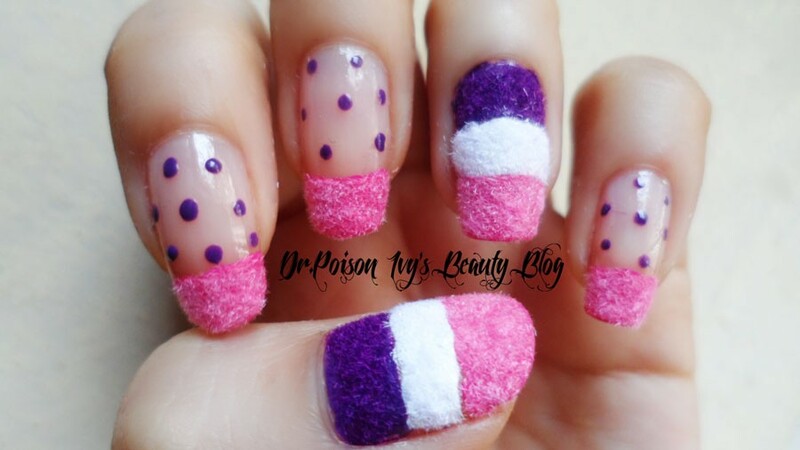 The pink one looks like sugar at first glance! i'm not sure about mumbai. but maybe you can try beauty centre. 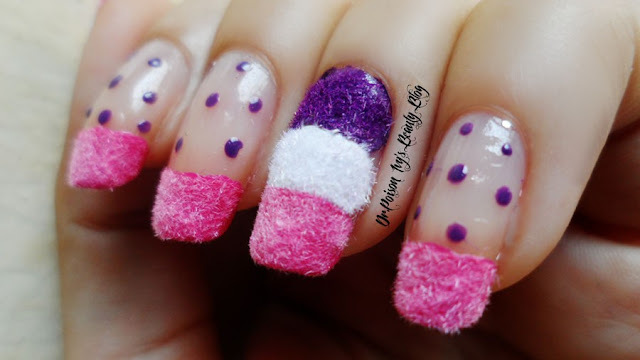 omg fluffy nails!! :D <3 em!